The enchanting swirls and polished landscape of a marble canvas are among the many reasons it has been a top choice of natural stone for centuries. 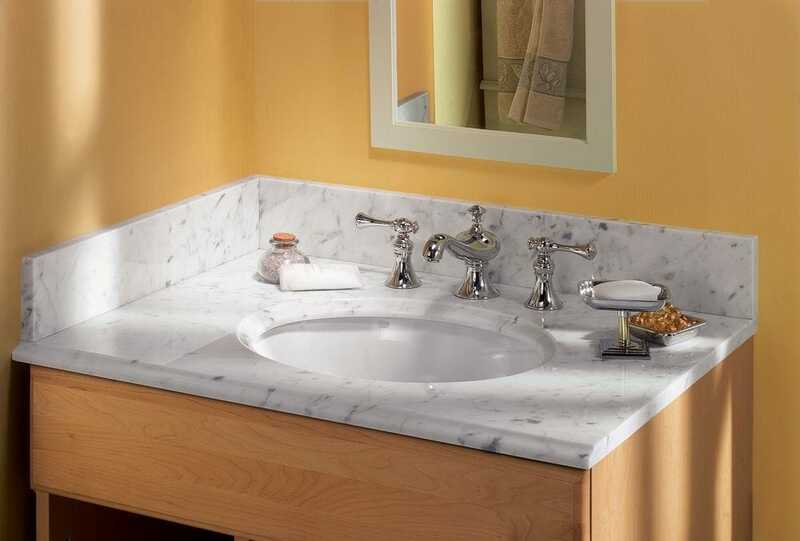 Promising veritable decadence at an unparalleled price, Pedras Marble Vanity Tops are the perfect elegant addition to any spa or lavatory. Ease of installation with pre-attached bowl: already undermounted to the vanity, Pedra offers less complicated installment by eliminating this step from your renovation project. Pre-drilled faucet holes: offset by 8, these vanities arrive ready for installation without the need for heavy duty tools or cleanup of unnecessary drilling debris. Marvel-worthy marble: the dazzling sheen and intricate liquid patterning of marble has made it a leading choice of natural stone for almost as long as the existence of architecture itself. 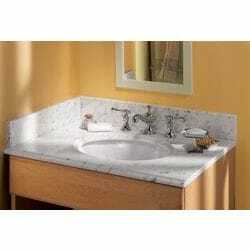 High-end appeal, lowest possible price: premium quality natural stone doesnt have to cost an arm and a leg; these vanity tops boast luxurious aesthetic appeal at an unbeatable cost. Variety of pre-cut measurements: customize your vanity top to fit your home by choosing from one of our 25, 31, 37, 49, or 61 widths.